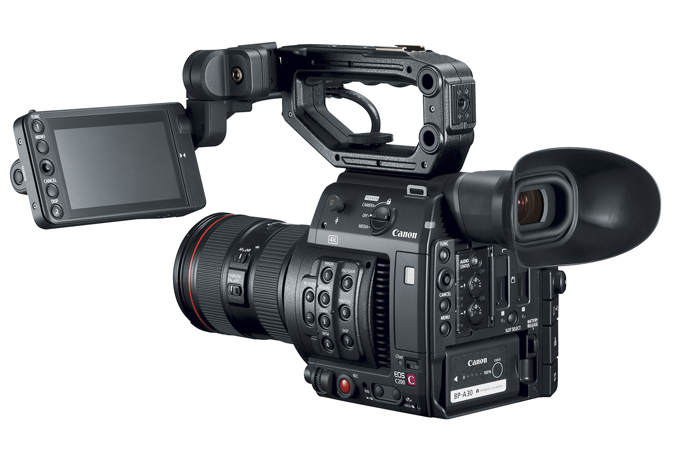 Should you use the new Canon C200 to make your next TV show? I wouldn’t rush to use the new C200 at the moment. The codecs or formats it shoots in aren’t ideal for UK broadcast work although Canon are expected to release a firmware update that will make it more attractive in 2018 (firmware is the camera’s internal baked-in software). As you know most British TV is still shot in 1080 HD because 4k filming creates an expensive data mountain. However, as it stands the new C200 only shoots 1080 HD in an MP4 format. Let’s face it, no self respecting shooting PD wants to shoot in MP4 (unless you need a GoPro). Your mobile phone shoots MP4 video, it’s a consumer 8-Bit codec. I’m not going to bore you to death with an explanation of “Bits” but it basically means less colour information going onto the hard drive. It also means less room for manoeuvre when you are colour correcting. Lower MP4 bit rates can catch you out with distortion or “aliasing” on stripy textures. That said, strictly speaking the MP4 mode on this camera does meet the BBC’s rules on data rates because the amount of visual information it can store per-second exceeds the 50Mbps guideline. The other shooting option on this camera is in 4k raw. This is basically a cinema mode, which produces stunning results. For this mode you’ll need expensive Cfast2 data cards. It will also fill a whopping 128Gb card in 15 minutes. I don’t shoot weddings so I’ll leave the 4k discussion there. In summary, this is a lovely full frame camera that creates stunning 4K visuals like the C300 Mark II. It also has great updates like a touch screen monitor and better positioning of sound inputs. It’s lighter and smaller than a C300. But to use it for TV wait for the XF-AVC firmware codec update. XF-AVC is a professional codec for broadcast work. Once this is in place it’ll be a real contender.